The Electronic Arts answer to the THQ’s Ultimate Fighting Championship based game is now available in stores throughout North America and will launch worldwide beginning October 22 and in Japan on November 11. 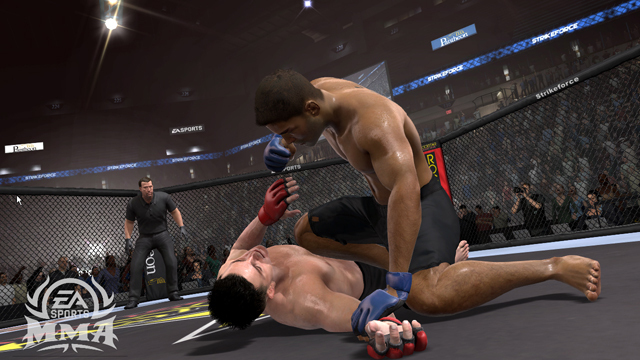 Electronic Arts brings mixed martial arts to PS3 and Xbox360 and allows players to travel the world and learn a multitude of fighting techniques and skills. 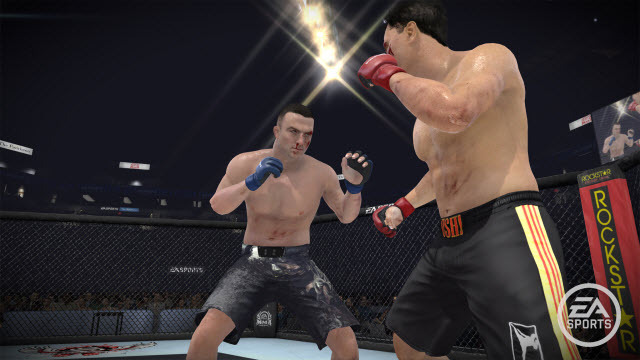 The game offers wide selection of world-class fighters from all over the world, as well you be able to create own fighter and then you can test your skills online through EA SPORTS Live Broadcast. 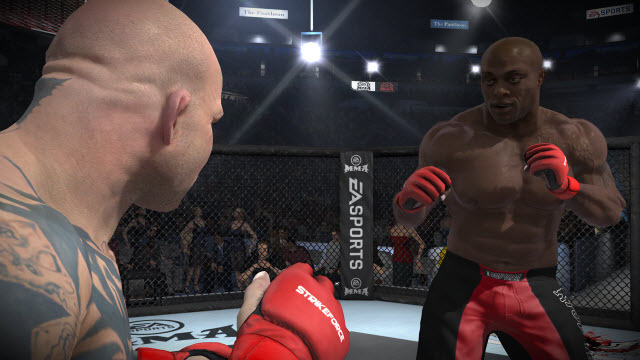 This EA MMA feature also allows you to have your fight broadcast online, viewed by gamers all around the world via the console or web, while a live commentator calls every move made during the fight. 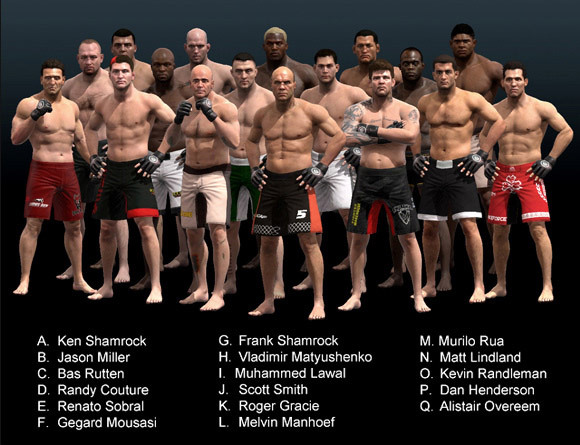 In career mode, you will have the opportunityto train in locations around the world with legends of the sport such as Randy Couture, Pat Miletich, Rickson Gracie and Bas Rutten, visiting gyms in Japan, Brazil, Thailand and the U.S. 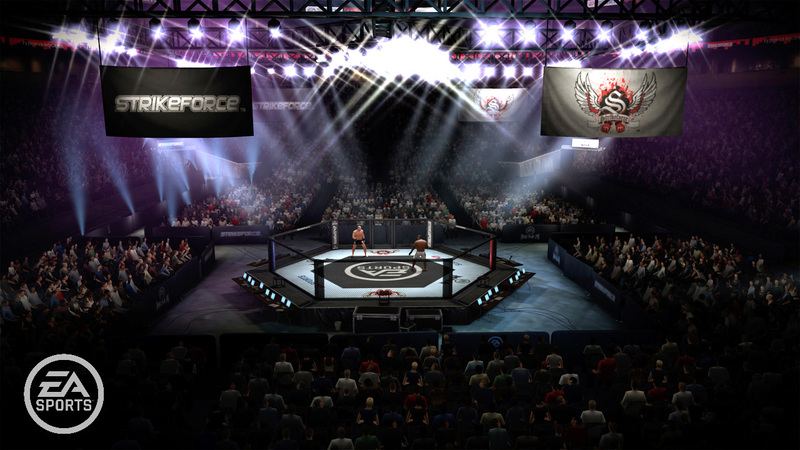 Fighter Share – Players can put themselves into the world of MMA training and fighting and begin the quest to become a champion. 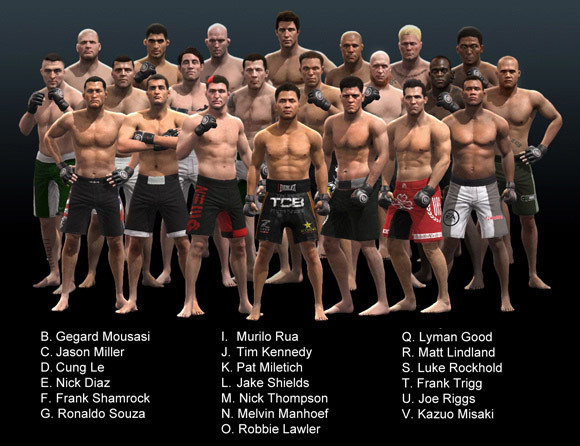 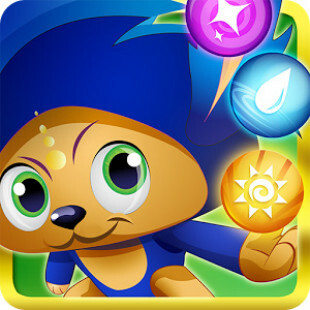 They can upload photos of themselves and use Photo Game Face to create their own, personalized roster of fighters. 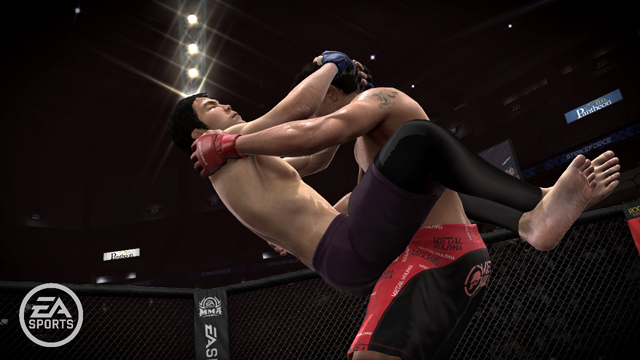 Display and share these create-a-fighters via Fighter Share by uploading and browsing other created fighters. 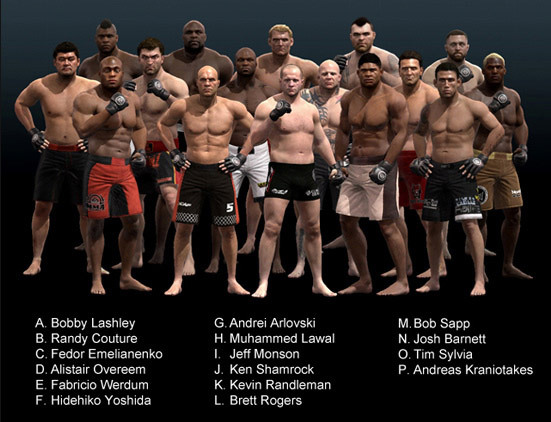 In addition, through Fighter Share players can download and try out any fighters created by the passionate EA SPORTS MMA community. 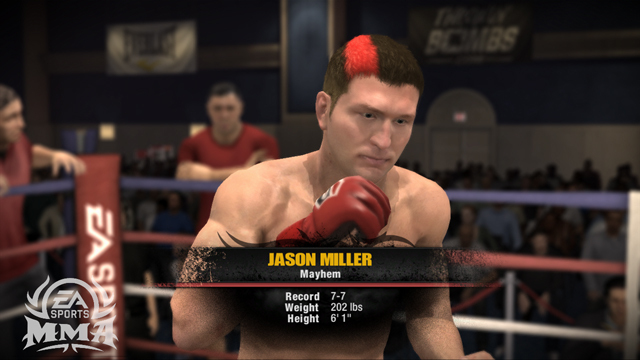 Customize Your Own Fight Card – Become a promoter and set up a night of fights with your friends. 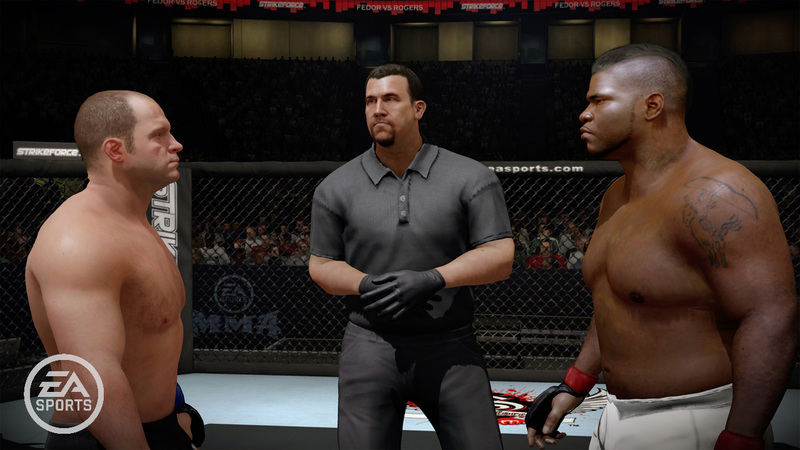 With the ability to host four fights per card with up to 10 people connected*, players can challenge each other to fights, and talk trash while friends provide commentary to the fight. 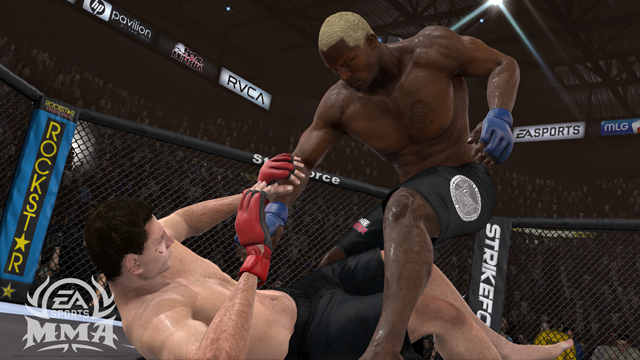 Total Strike Control – Through an intuitive control system for striking, elbow, knees and kicks, players can go on the offensive with Total Strike Control, providing the utmost flexibility for their fighters. 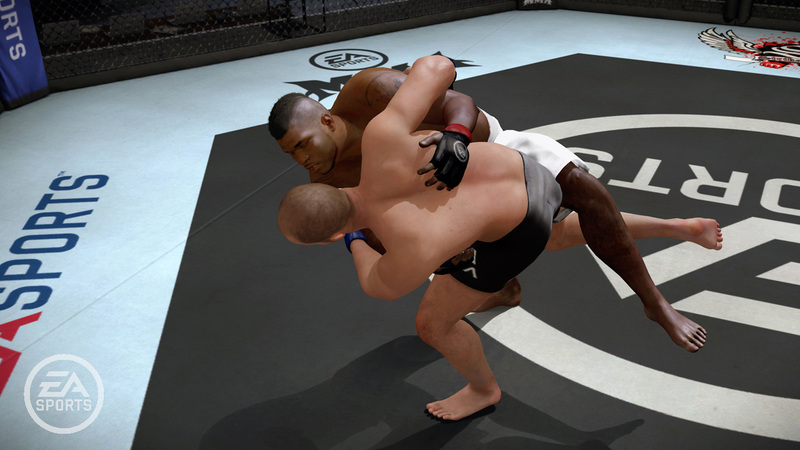 EA SPORTS MMA also provides the flexibility for those who prefer fighting using face buttons with the Classic Control scheme. 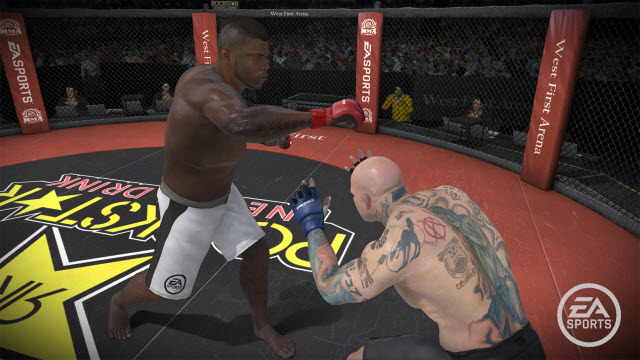 EA SPORTS MMA will be available on the Xbox 360® video game and entertainment system, the PlayStation®3 computer entertainment system, the iPhone® and iPod® touch.